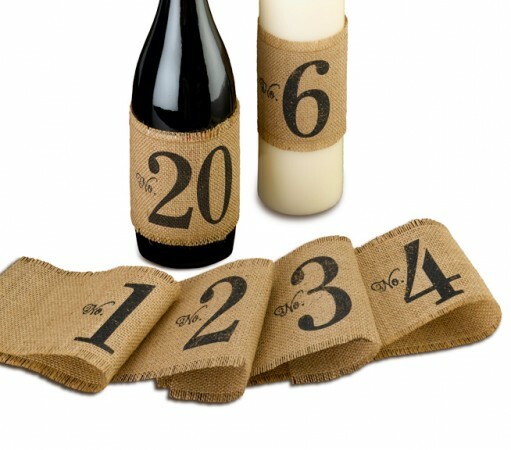 These burlap table number wraps are a great alternative to traditional table numbers. Use them on a wine bottle or candle to createthe perfect stylish centerpiece and help your guests find their tables with ease. The wraps measure 14" long and 3.75" wide.